The Web has gone dark. OK, maybe not the entire Web, but a good portion of the Web is joining its symbolic hands today in solidarity to oppose the SOPA and PIPA legislation currently being pushed in the United States Congress. Turning off websites sends a message, but hopefully that message reaches the right audience – Congress. The authors and supporters of SOPA and PIPA claim that the legislative initiatives are necessary to counter a growing epidemic of online piracy, but the bills are written too broadly and have the potential to significantly damage the Internet as we know it. If you visit sites like Wikipedia, Reddit, or Craigslist right now – at least from the United States – you will find that the sites are offline, and have been replaced by messages opposing the legislation. 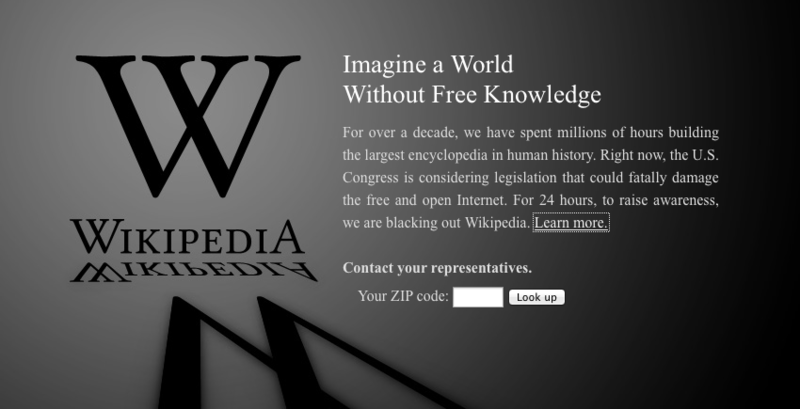 Wikipedia is offline for 24 hours to protest the SOPA and PIPA legislation. Many of the sites joining the effort today are sort of fringe sites that tend to be frequented mostly by geeks and techies in the first place, and those audiences are already fairly unanimous in opposing SOPA and PIPA. It’s like going to a Coldplay concert to talk about how great Coldplay is, or telling people at a San Francisco 49er’s game that the team is the best in the NFL. The people there already agree with you by virtue of being there in the first place. However, sites like Wikipedia, Craigslist, and Google are resources used by more mainstream society, and those blackouts have the power to reach people who may not really understand what is at stake, and bring the issue to their attention. If the SOPA online boycott is going to be successful, though, that awareness has to be converted to action. 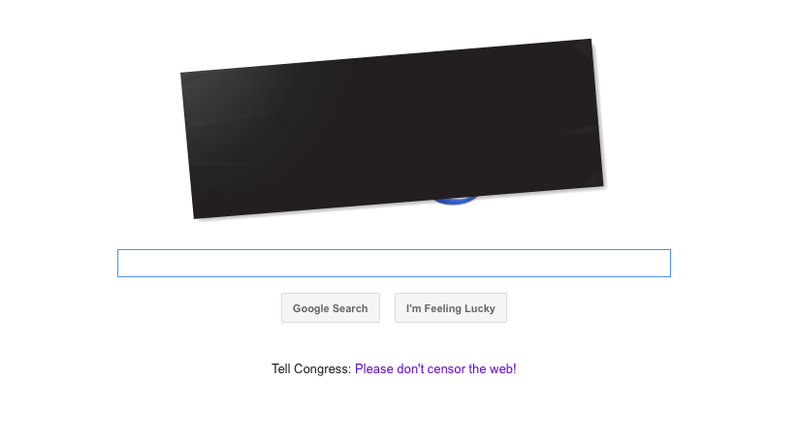 Google isn't offline, but it is supporting the SOPA blackout in its own way. There is only one thing more powerful than a massive lobbying budget—a massive voter backlash. The opinion of politicians may be swayed by organizations with lobbying dollars, but the whole point of taking lobbying dollars is to support the next campaign for re-election. If the voters don’t like you any more, the campaign coffer won’t matter much. Follow the links on the blacked out sites, and learn all you can about SOPA and PIPA. If you agree that the bills go too far, or even threaten the freedom and future of the Internet, take action. Call your representative, call your senators, and call the White House. Share your support with friends and family, and convince them to research the issue and take action as well. If you visit Wikipedia or Craigslist today, and you tacitly nod your head in agreement with the cause while silently being annoyed that you can’t access Wikipedia or Craigslist, the effort is wasted.